Temporal lobe epilepsy (TLE) is the most common type of adult partial epilepsy and is traditionally thought to involve focal-onset seizures arising from injuries or lesions of the temporal lobe. 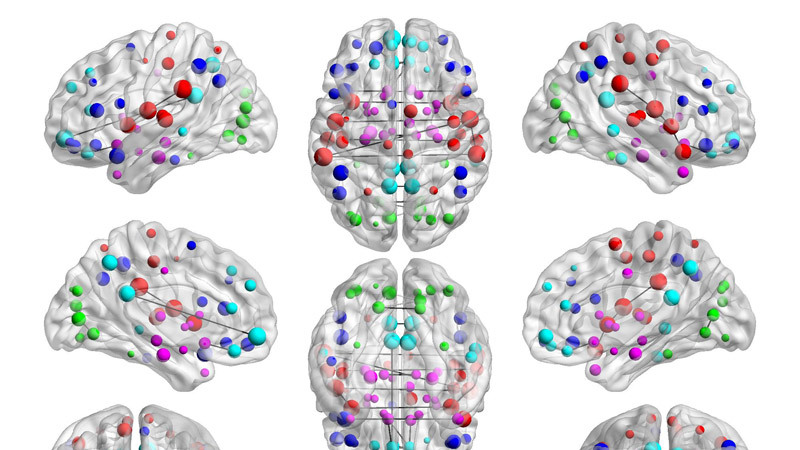 Recent evidence from neuroimaging studies, however, has shown widespread bilateral structural and functional abnormalities in TLE, leading to the idea of TLE being a network disorder (Berg et al. 2010; Richardson 2012; van Diessen et al. 2013). This project aims to investigate brain network properties in temporal lobe epilepsy to identify network abnormalities related to epilepsy and potentially endophenotypical network properties present in relatives of patients with epilepsy. The study will use electrophysiological and brain imaging techniques to model brain networks in a group of patients with mesial TLE, their unaffected first-degree relatives and controls. We will apply graph theoretical analysis on structural magnetic resonance imaging (MRI), resting state functional MRI, diffusion tensor imaging (DTI) and EEG data to model brain networks and to examine how the parameters of these networks in epilepsy patients and their relatives differ from normal subjects.